On May 5th, Care volunteers in Madagascar participated in an initiative to help make sure hundreds of school children in Andasibe had access to clean drinking water. Tap water in the area is often not safe to drink. Children in particular run the risk of suffering stomach aches and digestive problems from drinking this water, and are even at risk of contracting hepatitis and cholera. “Tap water is the only type of water available at school. For that reason, most of the children prefer not to drink at all,” explains Lowie Goetluck, a Care volunteer studying social work in Belgium. As a result, most of the children only drink one or two glasses of water per day, usually when they are at home. But during the school day, when they need to be the most focused and alert, they go without water. This can have a negative effect on their concentration levels and health. This is where Projects Abroad volunteers stepped in. Helped by Projects Abroad staff in Madagascar, the volunteers decided to provide a reliable source of safe drinking water for a public school in Andasibe. The school has more than 400 students between the ages of 6 and 12. 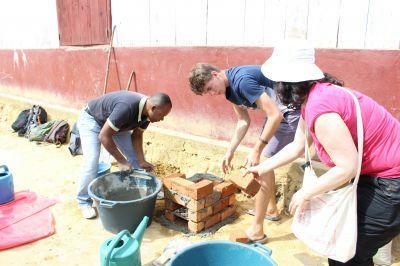 The volunteers opted to build brick and cement stoves next to the school buildings. They will use these to boil water every night for all the children in the school, so that it is cool and safe to drink each morning. Each student has also been given a personalized cup with their name on, to keep by their desks, ready to use. The volunteers and Projects Abroad staff took this opportunity to teach the children about the importance of regularly drinking water for their health and general wellbeing. The volunteers encouraged the children to drink during the day and explained the dangers of not drinking enough water, especially when it’s hot. This is vital in Madagascar, as temperatures can reach 40⁰ Celsius during summer on the island. This small-scale project will have a positive long-term impact on the health of all the children at this school, as well as help them focus on their education. Projects Abroad will also be exploring opportunities to expand this initiative to other schools in the region. 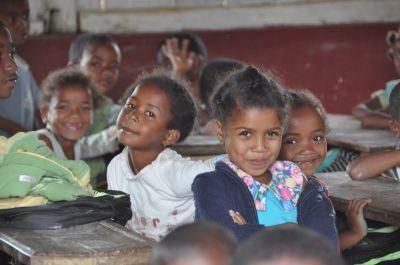 Find out how you can contribute to a Care Project in Madagascar or around the world .